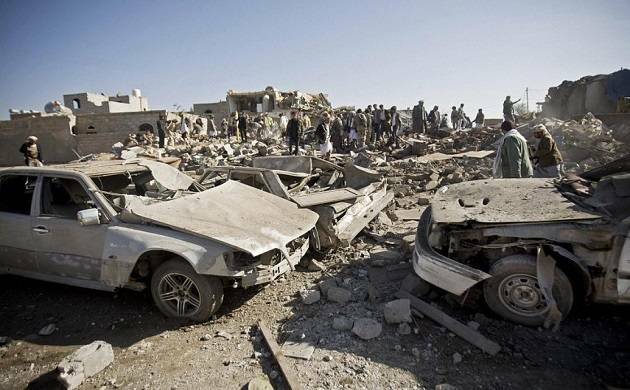 Heavy fighting occurred between Yemen rebels and loyalist forces on Saturday around the city Taez in spite of a 48-hour ceasefire announced by a Saudi-led coalition, fighting the insurgents began following US pressure. Clashes were heaviest in the town of Salo, southeast of Taez, military sources said, reporting casualties on both sides. Inside Taez itself, rebel rocket fired into a residential district killed one civilian and wounded two, the sources added. Yemen's government has come under huge pressure to back down in the face of an international outcry over the mounting civilian death toll from 20 months of conflict. "There are international pressures to observe a ceasefire and to resume (peace) negotiations," a source close to the presidency, requesting anonymity. More than 7,000 people have been killed in Yemen and nearly 37,000 wounded since the coalition intervention began in March 2015, the United Nations says. "We really hope that the war will end. All Yemenis are very tired of the conflict," said Khaled al-Waysi, a resident of Sanaa. Another resident, Sadeq Juhaifi, said: "We want one of the parties to be courageous enough to announce long-term peace, not just a two or one-day ceasefire." A spokesman for forces allied to the Iran-backed Shiite Huthi rebels, Brigadier General Sharaf Luqman, confirmed that they would also abide by the ceasefire.